This one is one among the many Post Production Photo Modifications that is done by computer software programs. This process finds its greatest application in product based businesses. The appearance of an object does not depend on how well it is shot. There are so many aspects the change of which can change the appearance of subject. The Post Shoot Photo Enhancements can critically improve the get up of the object and hence the impression it makes on the viewer. After all it is the impression on the viewer that is translated ultimately into buying. The quality of the final photograph depends on the software used and the artistic creativity of the technician who does the enhancement can greatly affect the ultimate outcome. The process basically is referred to as clipping. Image clipping is basically a process where the outline of the object to be removed from the photo is drawn and it is clipped out along the line. 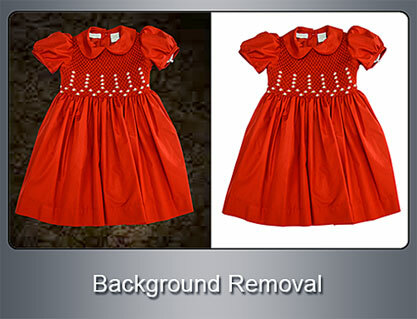 Clipping path, as the line is called a vector path that encloses the object. Since the path is a vector its direction is important. Convention is that a vector path drawn in the anticlockwise direction is taken as positive. This is to say that objects enclosed by the path will not be removed when the clipping process is completed. The whole area external to the path will be removed. This frees the object from its surroundings and can be subjected to further processing easily. The isolated image is corrected for exposure, contrast etc. Then the required background is selected from the various images in the software or imported from outside source. The object is placed on the newly selected background and oriented in a way as to make it look at its best. Having optimised the background and the orientation of the object the final image is made. Evidently, the whole of the operation is software driven. The more sophisticated the tool, the better and easier the process will be. Pro Photo Editor is one such programme. The artistic talent of the technician finds expression in the selection of background and the orientation of the object that makes the final image riveting. All the above mentioned operations are highly technical. The technician needs to be trained, experienced and skillful. He/she should have an artistic bend too to give photographs of exemplary quality. These jobs are best entrusted to Professional Photo Editing Service Providers. PHOTO EDITING INDIA is a professional service provider who has top class infrastructure and skilled, experienced and well trained technicians for whom quality is religion. Entrusting them with photo editing assignments will ensure cost effective timely delivery of high quality products.